Photos of products with codes that can be scanned by smart phones transform cramped spaces like the walls of subway stations into virtual retail stores, saving space and potentially adding function to disused city spots. 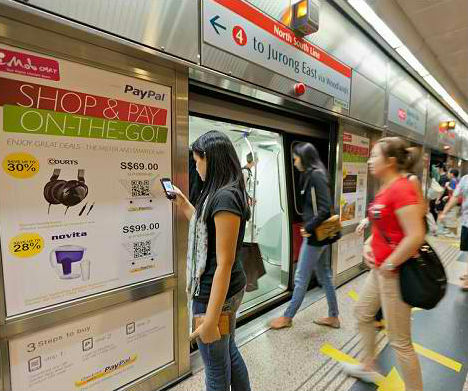 PayPal is among the main companies pioneering quick and easy virtual shopping with QR codes plastered on billboards and ad spaces. 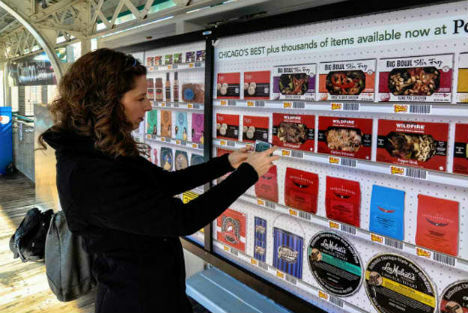 Online grocery service Peapod already has virtual shelves on subway and commuter train platforms in Philadelphia. The concept is simple: you download an app to your smart phone, scan the codes of the products you want to purchase, and enter your payment information. The goods you buy are then delivered to the location of your choice. The process is streamlined when payment info is saved – just scan and confirm. While brick-and-mortar stores with physical products won’t disappear completely, since there are plenty of times we just want to grab something and run, this concept could help meet the evolving needs of both customers and the cities they live in. Virtual retail stores could go up on the outside of abandoned buildings, or give use to areas that are under transition. 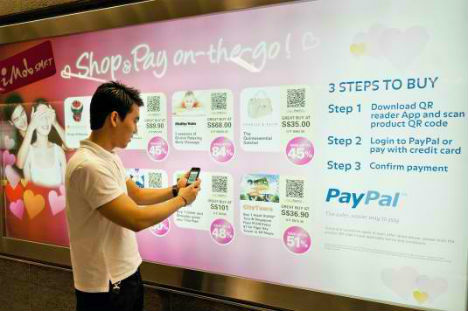 Experts have predicted that shopping will change more in the next three years than it has in the past twenty, with more and more people choosing the convenience of mobile shopping and self-checkout. PayPal has expanded a portion of its ‘Shop and Pay on the Go’ services by adding QR codes to the exterior of physical stores, for those times when you need something and the store is closed. Another service, ‘PayPal Here’, enables customers to check in with their phones, grab their items and pay for them virtually without having to pull out cash or a credit card.